It is clearly a time for a renewal of the national spirit and of our commitment to build a Jamaica that works for all its people. As we celebrate the 55th anniversary of our Independence, we can be justly proud of our achievements. We remain one of the few countries in the world which has maintained a stable parliamentary democracy where the rights of citizens to free-expression have been protected and administrations have been changed peacefully by way of the vote. The outstanding successes of our athletes, our scholars, and our professionals in their respective fields of endeavor have enriched the modern world and created Jamaica’s unique presence on the global stage. However, even as we celebrate our achievements, we should also make this a time for reflection and renewal as we face the challenges that persist. 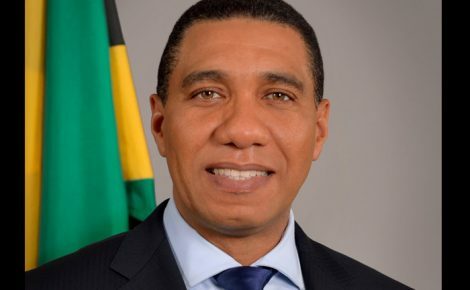 Too many Jamaicans have been left behind in the search for economic advance; too many of our children leave school without adequate preparation for both the world of work and the exercise of responsible citizenship; too many of our citizens are still squatters in the land of their birth and too many lives are being destroyed by the scourge of crime. As a result we are now faced with the reality that among the post-independence generations there are many Jamaicans who no longer have confidence and faith in our nation’s ideals. There is still too much waste of tax-payer’s resources and too much corruption, and breach of public trust by people in positions of power. Far from giving up, we must be inspired by what we have achieved as a people and become even more determined to fulfill our potential as a people. We owe it to the generations who built the national movement and led the struggle for independence to complete their mission by expanding opportunities for economic and social progress to Jamaicans of all social classes. Success in this endeavor will only be assured when all of us, Jamaicans at home and abroad, come together in a truly national effort and demonstrate the fixity of purpose needed to make Jamaica a more caring, a more productive and a more prosperous and equitable society. We must learn to settle our disputes without resorting to violence and learn to build bridges of friendship irrespective of class and colour, or political persuasion. Our mission will only be accomplished when Jamaica becomes a model of social cohesion and togetherness and takes its place among the developed countries of the world. So, as we all look forward to the showcasing of the best of our culture and artistes, and as we welcome Jamaicans and friends from abroad to join in these celebrations, let us also use the opportunity to reflect on our journey thus far, and chart a course for the future that will ensure the upliftment of all those who have been left behind or who struggle for survival on the margins of society. May God grant Jamaica his blessings, and crown our efforts to build a better Jamaica that works for all our people and leaves no one behind.